Canature WaterGroup™ has dedicated professional engineers with decades of commercial water treatment experience. Over the years, they have built a reputation for designing efficient, high quality water purification systems. For Applications Such As: Boiler Treatment, Bottled Water, Breweries & Distilleries, Food and Beverage Processing, Greenhouses, Humidification Ion exchange Pre-treatment, Ice Making, Process Make-up Water, Research and Medical Labs, Spot-free Rinse. up to 800 gallons per day and removes up to 98% of total dissolved solids in raw feed water. 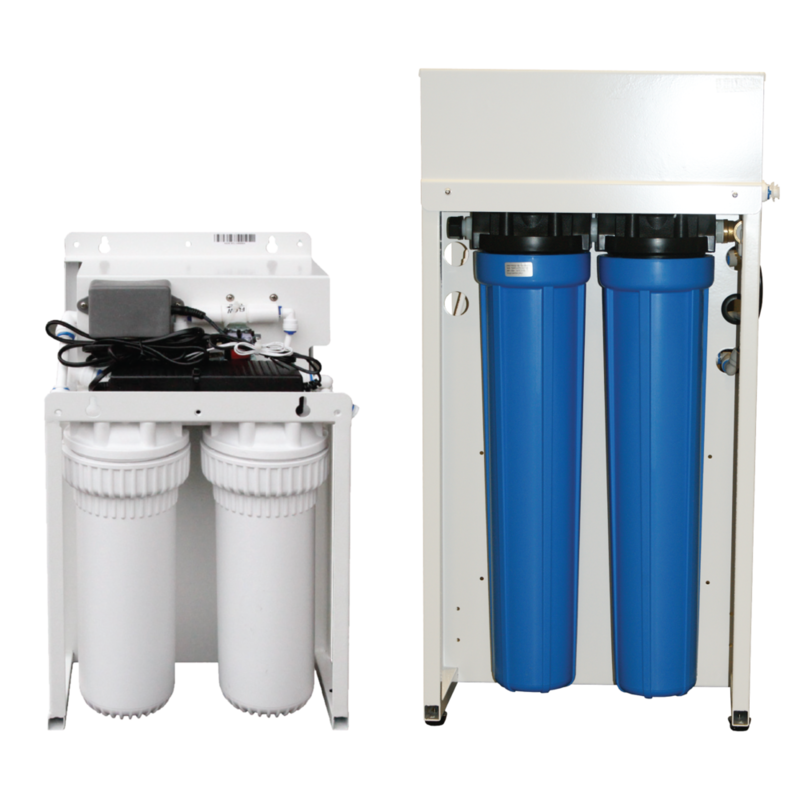 Our CAN 4040 RO Series is an affordable solution for applications up to 12,000 gallons per day and removes up to 98% of total dissolved solids in raw feed water. The WGR Series Commercial Reverse Osmosis Systems remove up to 99% of the total dissolved solids (TDS) in raw commercial feedwater, producing high quality process water for applications such as boiler feed, humidification systems, drinking water, industrial processes, food and beverage processing and spot-free rinse car washes. New Aqua Flo elements consistently offer high quality water and reliable system performance by operating at lower pressures and low energy costs.